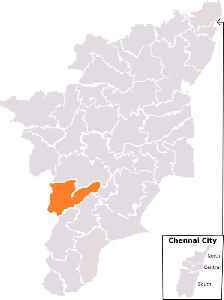 Theni is a Lok Sabha constituency in Tamil Nadu state in southern India. This constituency came into existence in 2008, replacing the Periyakulam constituency following the delimitation of the parliamentary constituencies. It comprises the Bodi, Cumbum, Periyakulam and Andipatti assembly segments from the Theni district and the Usilampatti and Sholavandan assembly segments from the Madurai district.